On March 2008, the Polish Patent Office has granted to the Politechnika Wrocławska (Wrocław University of Technology) the right of protection for the word-figurative trade mark e e-Informatica R-204692, for goods and services in Classes 9, 16, 18, 25, 35, 41 and 42. Mr Piotr Chlebowski filed the opposition against the decision of the PPO, and argued that he works on the market (in business) under the business pseudonym Informatica, and has been using that term as a company name that was entered in the register of business activity in 2003. He also uses that name within “a website for his Internet domain”. The term Informatica is also used by Mr Chlebowski on business cards, in advertising, invoices and stamps. He argued that the questioned trade mark also violates his personal rights, because he has started the company under the name Informatica. In addition, he also enjoys the copyright to the term “Informatica”, and the use of that name by the Politechnika Wrocławska is also contrary to regulations provided in the Polish Act on Combating Unfair Competition. Politechnika Wrocławska requested the PPO to dismiss the opposition and argued that the term Informatica cannot be deemed as personal or economic right or interest. There is no unfair competition because the name Informatica does not lead to consumers’ confusion as to the producer of goods or services. The Polish Patent Office dismissed the opposition. The PPO ruled the Mr Chlebowski is entitled to his full company name, not only to the term Informatica, and the provisions of the Polish Civil Code raised by the opponent relate to the violation of personal interests, and therefore not personal rights. However, the the mere fact that someone applied for a trade mark consisting of a part of the name of another company is not yet an obstacle to the registration. It is required that the registration and use of the trade mark constitutes a violation of the right to the company name. The average consumer will considers the designation as descriptive for the goods and services related to information technology. However, the figurative element – the first letter “e” – plays the dominant role in the perception of the whole trade mark. The registration of a domain name informatica.pl does not create exclusive property rights that are effective against all (erga omnes – absolute rights). The right to use an Internet domain name is the “relative right” based on the contractual obligation that is effective only with respect to the domain registrar. Mr Chlebowski filed a complaint against this decision. The Voivodeship Administrative Court in its judgment of 17 September 2012 case file VI SA/Wa 917/12 dismissed it, and Mr Chlebowski decided to file a cassation complaint. The Supreme Administrative Court in its judgment of 3 April 2014 case file II GSK 244/13 repealed the contested judgment and returned it to the VAC for further reconsideration. The SAC held that a name of enterprise (business or company) belongs to the category of personal and property rights, which are subject to legal protection, and that these rights may be infringed by the use of the trade mark, because the two signs (the company’s name and a trademark) both identify the company. The SAC noted that the VAC relied on provision of the Polish Commercial Code that for many years were no longer in force, and incorrectly stated that Mr Chlebowski, as a natural person conducting his business activities, is not entitled to the company name. While the the Polish legislature has regulated in the Civil Code in Section III titled “Entrepreneurs and their designation” the right to the company name, which is also entitled to an entrepreneur who is a natural person. Thus, in this case occurred primarily a conflict of a right to the company name and the right of protection for a trade mark. The Supreme Administrative Court stated in its previous case-law, that the name of a company (the firm) is used to identify and differentiate entities in legal and economic transactions. It also serves a carrier of certain information about the characteristics and qualities of their activities. Unauthorized interference with the functions of the company name infringes the right to the name. This infringement is not prejudiced by registration of a trade mark that is identical or similar to the name of another company. Exclusive rights to the company name (firm) are not absolute. Their limits are territorial and objective and are based on actual activity of an entity that uses a given name. Only within these limits a collisions between identical or similar company name and trademark may occur. If different fields of business activities of a person (legal or natural) that is entitled to the company name and the proprietor of a trade mark, do not lead to consumers’ confusion with regard to the identity of companies, or such proprietor of the later trade mark is not using the reputation associated with earlier (identical or similar) company name, it is difficult to talk about the collision of these two rights, and consequently an infringement of an earlier right to the company name by the later mark (see: “Trade mark law, case II GSK 31/06” and “Trade mark law, case II GSK 406/08“). Applying these considerations to the present case, the SAC ruled that the VAC should reconsider and establish such facts as from which time Mr Chlebowski had acted in the course of trade under the company, using in addition to his surname a designation Informatica, what was the scope and of that activity and whether there is a risk of consumers’ confusion as to the identity of his company and the owner of a disputed trade mark. As it was already established in the case-law of Polish administrative courts, while finding an infringement of personal or property rights of third parties by a trade mark registration, it does not matter whether there are specific facts of confusion in trade, i.e. consumers’ confusion as to the identity of the company and the sign. It is enough to determine the potential possibility (likelihood) of such confusion, that in case of companies carrying identical or convergent activities, seems inevitable (see the judgment of the Supreme Administrative Court of 30 March 2006 case file II GSK 3/06, published in electronic database LEX, under the no. 197239). While considering this case, the VAC should also pay attention to the unified position of both the Supreme Court and the Supreme Administrative Court expressed in the case law that in case of a collision between a company name and an applied and/or registered trade mark, the priority is given to the earlier right. Categories: Art. 120(1) IPL | Art. 131(1)(i) IPL | Art. 23 CC | Art. 24 CC | Art. 255 IPL | non-traditional trade marks | personal name | Polish Act on Industrial Property Law | Polish Civil Code | Polish courts | Polish institutions | Polish law | Polish Patent Office | Polish Supreme Administrative Court | similarity of goods | similarity of signs | trademark law | Voivodeship Administrative Court. The Polish company INTERKOBO sp. z o.o., the owner of word trade mark MYBABY R-148924 registered for goods in Class 28 such as games, toys, sporting goods, requested the Polish Patent Office to invalidate in part the right of protection for the word-figurative trade mark MY SWEET BABY R-187751 registered for goods in Classes 12, 20, 25 and 28, and owned by PEXIM Artur Kamiński. INTERKOBO claimed high recognition of the MYBABY reputed trade mark among buyers of children’s toys and a high degree of similarity between the goods. The company noted that since 15 years it is one of the largest importers of toys in Poland. PEXIM argued that its trade mark is registered in class 28 for goods such as children’s toys – dolls, doll beds, cradles for dolls, doll furniture, doll clothing. PEXIM operates since 15 June 2001, and its activity is the manufacture of wicker and wood, which are exported. Wickerworks are made for young children. These are strollers, cribs and miniatures of these products as toys for children. The products are bearing a trade mark and a company name, therefore, the risk of confusion is excluded. The Polish Patent Office invalidated the right of protection in part of goods in Class 28. The PPO ruled that both trade marks are used to designate similar goods. The dominant element in both signs is the word baby, because it is a base or core to the other words, and in particular, their meanings so it shows that the these trade marks have a similar range of meaning, therefore there is a high risk of association by the public between the marks, and the likelihood that the consumer may be confused as to the origin of goods. PEXIM filed a complaint against this decision. The Voivodeship Administrative Court in its judgment of 29 September 2011 case file VI SA/Wa 1407/11 dismissed it. The Court ruled that the PPO properly carried out the proceedings and correctly interpreted the law. According to the Court there was homogenity of goods in Class 28, and even the identity of the goods, because the Nice Classification was subject to change over the years, but the changes did not have any historically impact on the signs and the goods offered. The difference of one word that occured in the compared signs was so unimportant that it did not make them different enough to rule out the risk of confusion in the ordinary course of trade. PEXIM filed a cassation complaint, and additionally, a motion to stay the execution of the decision. The Company argued that the contested decision involves very high cost and its implementation would include a very serious consequences for its economic activity, and thus would cause irreparable consequences and expose the company to serious losses. The Supreme Administrative Court in its order of 27 July 2013 case file II GSK 270/12 dismissed the motion. The SAC ruled that PEXIM, despite its obligation to submit such evidence, has not shown the existence of statutory grounds that would allow to stay the execution of the contested decision. According to the Court, PEXIM only claimed very serious and irreparable consequences and big losses. Meanwhile, while citing in support of the motion specified circumstances, the Company should be able to substantiate their occurrence, thus going beyond the vague and unsubstantiated claims. By pointing to difficulties to reverse the effects of the contested decision, PEXIM did not substantiate the existence of conditions justifying the stay of execution. Therefore, the Court had no chances for the objective assessment. The arguments that the stay of execution of the decision does not endanger the health or human life, and it is not associated with exposure to the national economy from heavy losses, as well as it does not affect the party’s interest, were during the assessment of the motion irrelevant, since it is not a ground for staying the execution that is provided for in the Polish Law on Proceedings Before Administrative Courts. The SAC held that a reference to likely allegations that were raised in the cassation complaint cannot determine the stay, since at this stage it would be pointless and premature. The Court also noted that the order to stay the execution can be amended or repealed at any time if circumstances of the case change. The party seeking for the amendment or repeal of a decision or action, should demonstrate such a change of circumstances that would make its request justifiable and well-founded. Categories: Art. 132(2)(ii) IPL | Art. 246 IPL | Art. 255 IPL | Art. 315 IPL | Polish Act on Industrial Property Law | Polish courts | Polish law | Polish Supreme Administrative Court | similarity of goods | similarity of signs | trade mark invalidation | trademark law | Voivodeship Administrative Court. On 2 January 2007, the Polish Patent Office granted the right of protection for the word-figurative trade mark GLOBAL R-192958 for the Polish entrepreneur Marek Stefaniak from Gdańsk, for goods and services in Classes 9, 16, 35, 37, 38, 39, 41, 42 and 43. On 30 July 2008, the Swedish company Global Refund Holdings AB filed the request for invalidation for goods in Classes 9 and 16 and for services in Class 35. Global Refund argued that the sign in question is similar to its trade mark G GLOBAL REFUND IR-688582. The Polish Patent Office in its decision of 1 June 2010 case no. Sp. 148/09 found similarity of goods and services and decided that both trade marks share the same word element which may cause consumers’ confusion. Therefore, the PPO invalidated the right of protection. Marek Stefaniak filed a complaint against this decision. The Voivodeship Administrative Court in its judgment of 17 August 2011 case file VI SA/Wa 557/11 ruled that according to the provisions of Article 255(4) of the IPL, the PPO decided and settles cases in litigation procedure within the scope of the request and should be bound by the legal ground invoked by the requesting party. Thus, the request for invalidation of the right of protection for a trade mark define the scope of the administrative case by defining its borders, both as to the facts and the legal basis for the request. This rule in this proceeding was even more important because it was contradictory procedure, and thus characterized by adversarial nature. A party that initiates the dispute also determines to what extent the statutory requirements were not met in order to obtain a trade mark registration and submits evidence in support of its position. The settlement of case within the scope of the request means that these limits can not be exceeded. In the opinion of the Court, going beyond the scope of the request for invalidation of the registration violates the interests of the holder of the registration. The judgment is final. Categories: Art. 107 §3 APC | Art. 132(2)(ii) IPL | Art. 255 IPL | Art. 256 IPL | Art. 7 APC | Art. 77 APC | Art. 8 APC | Art. 80 APC | Polish Act on Industrial Property Law | Polish Administrative Proceedings Code | similarity of goods | similarity of signs | trade mark invalidation | trademark law | Voivodeship Administrative Court. On May 2008, the Polish Patent Office granted the right of protection for the word-figurative trade mark V V V.V. MOTOR R-205440 for goods in Class 12. This sign was applied for by FUSAN HANDICRAFT Co. from Taiwan. On April 2009, Volkswagen AG filed a notice of opposition to the decision of the Patent Office. VW argued that the trade mark in question is similar to its well-known and reputed CTM, and the reputation is obvious and does not require any evidence. After careful examination of the case, the PPO invalidated the right of protection. FUSAN HANDICRAFT Co. filed a complaint against this decision. The Voivodeship Administrative Court in its judgment of 18 November 2011 case file VI SA/Wa 1616/11 dismissed the complaint. The Court ruled that despite the editorial differences in the lists of goods of compared trade marks, the PPO correctly decided that some of the goods are to be regarded as identical. The Court agreed that the dominant element of the trade mark at issue was a composition of graphics and letters placed in the circle. That was another argument in favour of finding the similarity of signs. So the phonetic differences resulting from the different pronunciation of the letters “VV” and “VW” did not neutralize the visual similarity between the marks. The Court did not agree with the argument that the PPO failed to properly assess the similarity of the goods. The PPO did not examine too broadly the comparable lists of goods, becasue there was no doubt that VW using the priority, had the chance to seek for the broader protection for its trade mark. Categories: Art. 132(2)(ii) IPL | Art. 246 IPL | Art. 255 IPL | Art. 315 IPL | company name or firm | personal rights or interests | Polish Act on Industrial Property Law | similarity of signs | trade mark invalidation | trademark law | Voivodeship Administrative Court. The Voivodeship Administrative Court in its judgment of 15 June 2011 case file VI SA/Wa 886/11 ruled that introduction of a decision which has as an integral part a justification, into legal transactions, by serving it to the parties without the signature of the Chairman of of the adjudicative panel is clearly in breach of Article 2558(2) of the Polish Act of 30 June 2000 on Industrial Property Law – IPL – (in Polish: ustawa Prawo własności przemysłowej), published in Journal of Laws (Dziennik Ustaw) of 2001 No 49, item 508, consolidated text of 13 June 2003, Journal of Laws (Dziennik Ustaw) No 119, item 1117, with subsequent amendments. 2. Written substantiation of the decision shall be drawn up ex officio within 30 days from the date of its pronouncement. The substantiation shall be signed by the chairman and the member of the adjudicative panel that has drawn up the substantiation. A copy of the decision and the substantiation shall be served upon the parties. This case concerned the invalidation proceedings of the word trade mark LABRADOR R-203285. The Court ruled the justification is an important part of a decision that allows the Court to follow the reasoning of the PPO which led to the contested decision. Categories: Art. 255 IPL | Polish Act on Industrial Property Law | Polish courts | Polish law | trade mark invalidation | trademark law | Voivodeship Administrative Court. On May 2009, FAKRO PP sp. z o.o. requested the Polish Patent Office to invalidate the European patent No. 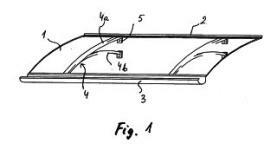 PL/EP 1706557 “window and insulating frame kit” that was granted under the European Patent Convention on the territory of the Republic of Poland. On December 2010, the company filed a complaint to the Voivodeship Administrative Court in Warsaw, arguing that the Polish Patent Office did not take any substantive action to decide the case. The PPO argued that it set the hearing date in February 2011, but the hearing was adjourned, and the Adjudicative Board of the PPO ordered the owner of the challenged patent to supplement the evidence in the case within 2 months from the date of the publication of the order. In addition, the PPO noted that the applicant’s representative requested a correction and supplement the minutes of the hearing held in February 2011, a hearing on this matter was set for June 2011. The Voivodeship Administrative Court in its order of 9 June 2011 case file VI SAB/Wa 73/10 discontinued the proceedings. The Company filed a cassation complaint. The Supreme Administrative Court in its order of 25 October 2011 case file II GSK 2108/11 repealed the contested order and sent it back for the reconsideration. The SAC held that the VAC should dismiss the complaint or decide on the failure to act. The Voivodeship Adminsitrative Court in Warsaw in its judgment of 3 January 2012 case file VI SAB/Wa 236/11 ruled that the provisions of the Code of Administrative Procedure governing time limits for settling cases shall not apply to cases heard by the Polish Patent Office in litigation procedure, but the PPO should make all-out efforts to settle the case within six months from the submission of the request. The VAC ruled that the case for invalidation of the patent at issue was pending before the PPO for more than two and a half years and even during the proceedings before the Courts, it did not end in any decision. Inactivity of the Polish Patent Office in this case was obvious. Categories: Art. 255 IPL | patent law | Polish Act on Industrial Property Law | Polish courts | Polish institutions | Polish Patent Office | Voivodeship Administrative Court. Polish company Przedsiębiorstwo Produkcji Lodów “KORAL” Józef Koral Spółka jawna from Limanowa, the owner of the word trade mark RED BLUE Z-277694 requested the Polish Patent Office to decide on the invalidation of the right of protection for the word trade mark RED BULL IR-708694 in part for goods in Class 30. KORAL claimed inter alia that the registration of the questioned trade mark was made in violation of Article 6(1) of the old Polish Trade Mark Act – TMA – (in Polish: Ustawa o znakach towarowych) of 31 January 1985, Journal of Laws (Dziennik Ustaw) No 5, item 15, with subsequent amendments, becasue goods in Class 30 are not subject to the activities of the Red Bull GmbH. (1) A trademark shall be registrable on behalf of a specific enterprise, but only in respect of goods falling within its field of economic activity. On 15 December 2008, Red Bull informed the PPO that with effect from 5 December 2008, the Company renounced the protection of the questioned trade mark for goods in class 30 on the Polish territory. The PPO dismissed the request and noted that Red Bull GmbH is a limited liability company under the Austrian law. According to the registry of commercial activity, the company uses the Red Bull brand in the course of trade. In the opinion of the PPO, the Austrian law does not require further specification of the scope of the commercial activity of a company. The PPO has indicated that the minimum condition for which the entrepreneur must meet while applying for a trade mark in order to be grated the exclusive rights to that sign, is the intent of use. Such intent may be interpreted from the list of goods and services covered in the application and registration of the trade mark. KORAL filed a complaint against this decision. The Voivodeship Administrative Court in its judgment of 26 October 2009 case file VI SA/Wa 1263/09 dismissed the complaint and KORAL filed a cassation complaint. The Supreme Administrative Court in its judgment of 13 April 2011 case file II GSK 269/10 dismissed the cassation. The SAC ruled that the Polish legislature adopted the law which implies that a trade mark may be registered if it’s related to the business activity of an entrepreneur and, therefore, that this is not property in itself, which can belong to anyone, but it is an intangible component of the company/enterprise, that serves to distinguis the goods or services from other goods and services of the same kind of other companies. The second of those conditions preclude the possibility of marking other goods than the goods covered by the activities of a company. There is no doubt that the product (or service) that is actually offered in the market by the company, is a commodity, which is the subject of its business. However, a trade mark can (and should) also be used for goods that are not currently offered. Therefore, some problems of interpretation arise in the case of these goods (and services) that can be marketed by the company in the future. The SAC noted that the case law and legal doctrine adopted the view, that commodities which are the subject of a business activity will also be goods or services, what a company intends to introduce to the market in the future. Thus, the need arose to determine the criteria that would allow for the identification of the types of goods that are covered at the time of filing of a trade mark application (and consequently by the registration) by the intention of marking them in the future by that trade mark. Such intention is disclosed by identifying of the company activities in the appropriate register, because it is a public declaration of the entrepreneur on which fields of economic activities it intends to participate, or what kind of goods or services it will be offering on the market. Categories: Art. 107 §1 APC | Art. 134 IPL | Art. 255 IPL | Art. 256 IPL | Art. 315 IPL | Art. 4 TMA | Art. 6 TMA | Art. 7 APC | Art. 77 APC | famous trade marks | homogenity of goods | legal interest | non-use | Polish Act on Industrial Property Law | Polish Act on Trade marks | Polish Administrative Proceedings Code | Polish Supreme Administrative Court | reputed trade marks | similarity of goods | trade mark invalidation | trademark law. The Polish Patent Office invalidated the right of protection for the word-figurative trade mark Veraderm żel silikonowy R-167213 registered for goods in Class 5 and owned by P.A.D. Technologies Ltd. Spółka z o.o. The request was filed by the producer of Zerader gel, who claimed that the trade mark in question is similar to the name of its product and that the Polish company acted in bad faith. The Voivodeship Adminsitrative Court in its judgment of 15 January 2010 case file VI SA/Wa 1970/09 repealed the contested decision and held it unenforceable. The Court ruled that similarity of signs cannot serve as a basis in recognition of bad faith. The Court also noted that the oppositon was brought after the prescribed term has expired and there was no adequate justification for it. Such formal errors lead to the outcome of the judgment. Categories: Art. 145 PBAC | Art. 156 §1 pt 2 APC | Art. 164 IPL | Art. 246 IPL | Art. 252 IPL | Art. 255 IPL | Polish Act on Industrial Property Law | Polish Act on Proceedings Before Administrative Courts | Polish Administrative Proceedings Code | Polish Patent Office | trade mark invalidation | trademark law | Voivodeship Administrative Court. The Voivodeship Administrative Court in Warsaw in its judgment of 11 March 2011 case file VI SA/Wa 2180/10 ruled that the word-figurative trade mark 60 R-156991 is not sufficiently distinctive in standard business transactions because it does not individualize the goods of the trade mark owner among the goods of the same type that originate from different companies. The Polish Patent Office properly assessed the consumers of goods such as crosswords publications, and considered this groups as very diverse. Its members are people of different ages and different levels of education. There was no reason to believe that such a broadly defined consumer will identify a specific numerical designation with a given publisher, not the number of crosswords included in the publication. This judgment is not final yet. Categories: absolute grounds for refusal | Art. 107 §3 APC | Art. 165 IPL | Art. 246 IPL | Art. 255 IPL | Art. 315 IPL | Art. 4 TMA | Art. 7(1) TMA | Art. 8 APC | Art. 8(1) TMA | descriptive character | distinctive character | Polish Act on Industrial Property Law | Polish Act on Trade marks | Polish Administrative Proceedings Code | trade mark invalidation | trademark law | Voivodeship Administrative Court. The Voivodeship Administrative Court in Warsaw in its judgment of 4 October 2010 case file VI SA/Wa 736/10 ruled that the protection of unregistered Community design that results from the Community regulations does not allow for its extension through the registration of that design. Moreover, the protection of an unregistered Community design starts from the date of its first public disclosure. 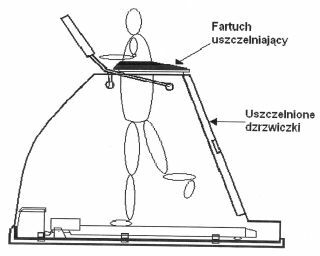 This judgment concerned the industrial design “Urządzenie treningowo-sportowe” (in English: Sports-based training device), Rp-12166. The judgment is not yet final. A cassation complaint may be filed to the Supreme Administrative Court. See also “Polish regulations on industrial designs” and “Polish case law on industrial designs“. Categories: Art. 102 IPL | Art. 103 IPL | Art. 246 IPL | Art. 255 IPL | individual character of a design | industrial designs | invalidation of a right in registration | novelty of an industrial design | Polish Act on Industrial Property Law | Voivodeship Administrative Court. The Polish company Producent Okien i Drzwi z PVC “OKLAND” Joanna Wilk i Wojciech Wilk Spółka Jawna from Kostomłoty Pierwsze filed a request for invalidation of the right of protection for a word-figurative trade mark Okland R-154904 owned by OKLAND Spółka z o.o. from Rokitki, in regard to the goods in Class 19, wooden windows. The company from Kostomłoty Pierwsze claimed it operates since 1 June 1997. Its business activities include the production of windows and doors of PVC in the four southern voivodeships. The company argued that the simultaneous use of the OKLAND sign in its company name and as a trade mark registered for a different entrepreneur may increase the risk of misleading the public, which includes in particular the risk of association between signs. The Polish Patent Office invalidated the right of protection. Okland from Rokitki filed a complaint against this decision. The Voivodeship Administrative Court in Warsaw in its judgment of 31 May 2010 case file VI SA/Wa 601/10 held that the registration of a trade mark that is identical or similar to a company name of another entrepreneur does not determine, however the infringement of the rights to the company name (the firm). The exclusive rights to the company name are not absolute. The limits of these rights are set by the coverage (territorial and objective) of the actual activity of a given company. The collision between identical or similar signs i.e. a company name and a trademark, may occur only within these limits. The judgment is not yet final. Categories: Art. 123 IPL | Art. 132(2)(ii) IPL | Art. 164 IPL | Art. 23 CC | Art. 24 CC | Art. 255 IPL | Art. 256 IPL | Art. 315 IPL | Art. 43¹ CC | Art. 8(2) TMA | Art. 9(1)(i) TMA | company name or firm | likelihood of confusion | personal rights or interests | Polish Act on Industrial Property Law | Polish Act on Trade marks | Polish Civil Code | similarity of goods | trade mark invalidation | trademark law | Voivodeship Administrative Court. On 27 January 2007, the Polish Patent Office granted the right of protection for GUCIO trade mark R-187648 for goods in Class 25 such as children’s shoes. Guccio Gucci S.p.A. the owner of two word-figurative trade marks GUCCI R-181633 and GUCCI R-184796 gave a notice of opposition to a final decision of the PPO on the grant of a right of protection to GUCIO trade mark. While proving the reputation of GUCCI trade marks, the Italian company stressed the fact that it owns many stores, where high-quality clothing and footwear is sold and it also includes shoes for children. The customers of these stores are known and influential people. The company argued that since the mid-twentieth century, the Gucci brand and products bearing this trade mark are associated with the highest quality and luxury – Gucci has become sort of “certificate of quality.” The Company pointed out that Gucci fashion house brings together leading, world fashion designers thus have a substantial impact on global fashion trends. Consequently, the goods that are marked with this symbol appear in numerous television programs, shows and magazines on fashion. GUCCI argued that similar trade marks in conjunction with the homogenity of goods for which these signs are clearly intended, may to lead to the risk of their association, and even confusion by customers, and this causes the possibility of customer confusion as to the origin of goods. Sławomir Piwowarczyk, the holder of GUCIO trade mark argued that the word GUCIO is a diminution of GUSTAW. The PPO dismissed the opposition. Guccio Gucci S.p.A. filed a complaint against this decision. The Voivodeship Administrative Court in Warsaw in its judgment of 30 August 2010 case file VI SA/Wa 807/10 dismissed the complaint and held that dissimilar signs cannot lead to customers’ associations, so there can be no issue of imitation, and conscious deriving of benefits from someone else’s reputation. If the similarity between the signs does not occur there is no need to examine whether there was the use of another person’s reputation. The examination whether there are similarities between the trade marks is the “precondition” of establishing the argument/view that the use of reputation has been made. The second condition is to establish/examine that the trade mark has a reputation. The judgment is not final yet. Categories: Art. 107 §3 APC | Art. 132(2)(ii) IPL | Art. 132(2)(iii) IPL | Art. 255 IPL | company name or firm | homogenity of goods | likelihood of confusion | personal rights or interests | Polish Act on Industrial Property Law | Polish Administrative Proceedings Code | reputed trade marks | similarity of goods | similarity of signs | trademark law | Voivodeship Administrative Court. On 9 July 2005, the Polish Patent Office registered word-figurative trade mark “PERŁY I ŁOTRY SHANGHAJU” R-164275 for Grzegorz Majewski “SINONIS” from Katowice. Michał Gramatyka, Wojciech Harmansa, Adam Saczka and Sławomir Olko filed a request for the invalidation of the right of protection. 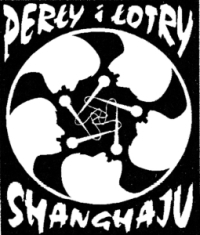 They claimed that they were members of the music band “PERŁY I ŁOTRY SHANGHAJU”, the band’s name is a common right and therefore the registration of this name as a trademark by Grzegorz Majewski violated the rights of other band members. The applicants alleged that Majewski filed for the registration at a time when he was not an active member of the band and he also knew that “PERŁY I ŁOTRY SHANGHAJU” continues its operation, accordingly he acted in bad faith. Bad faith is also confirmed by the fact that based on the granted right of protection for the trade mark in question, Majewski demanded the cessation of business activity of the other band members. 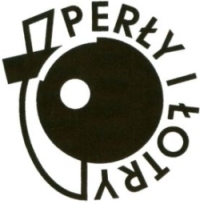 The sign in question is a word-figurative trade mark and similarities that exist may mislead the public with “PERŁY I ŁOTRY” R-194932 trade mark registered for Firma Usługowo-Handlowa HARPEL II Wojciech Harmansa. See also “Trade mark law, case Sp. 211/08“. The Polish Patent Office dismissed the request and concluded that there was no reason to believe that the grant of protection to the trade mark at issue violated the personal rights of applicants if a civil court’s judgment submitted during the invalidation proceedings included a statement that they are not entitled to such a personal right/interest to the band name. The applicants filed a complaint against this decision. The Voivodeship Administrative Court in Warsaw in its judgment of 24 August 2010 case file VI SA/Wa 347/10 annulled the contested decision and ruled it unenforceable. The VAC held that there was a breach of procedural law. The Court held that the PPO, in fact, did not properly examine the request for invalidation. The PPO based its findings only on certain statements issued in the judgment of the Apellate Court in Katowice, and draw more far-reaching conclusions. And so, from the finding of the Appellate Court that plaintiffs have not demonstrated the fact that they are entitled to the name of the band “Perły i Łotry Szanghaju”, the PPO reached a conclusion that the applicants shall have no personal or property rights, and then ruled the argument of acting in bad faith as unfounded. This jugdgment is not final. Categories: Art. 107 §3 APC | Art. 145 PBAC | Art. 152 PBAC | Art. 164 IPL | Art. 255 IPL | Art. 7 APC | Art. 77 APC | Art. 8(1) TMA | Art. 8(2) TMA | bad faith | personal rights or interests | Polish Act on Industrial Property Law | Polish Act on Proceedings Before Administrative Courts | Polish Act on Trade marks | Polish Administrative Proceedings Code | trade mark invalidation | trademark law | Voivodeship Administrative Court. On 14 March 1994, Polish entrepreneur operating under the name Usługi Pogrzebowe “Hades” Włodzimierz Wasilewski from Częstochowa applied for the right of protection for HADES Z-130892 trade mark in class 45, funeral services. Another Polish entrepreneur operating under the name Nowak Tomasz Firma Pogrzebowa HADES from Łódź filed an opposition to a final decision of the Patent Office on the grant of the right of protection for HADES R-148641 trade mark. Tomasz Nowak claimed that the Polish Patent Office ruled on the discontinuance of examination proceedings for HADES Z-130892 because of the failure to pay application fees and on 6 March 1999, he decided to file for the right of protection for word-figurative trade mark HADES Z-198798 in classes 26 31 39 42. On 26 September 2001 the PPO granted the right of protection for HADES R-132619 trade mark. Tomasz Nowak argued that the resumption of proceedings by the Patent Office on the application of HADES Z-130892 trade mark, which led to the granting of the right of protection, deprived him of part of the right acquired in good faith and the possibility to obtain the protection for the next sign. According to Tomasz Nowak the decision on the grant of the right of protection for HADES R-148641 trade mark, not only violates his right to earlier acquired trade mark, but most of all it violates the principle of certainty and security of legal transactions. It leads to a situation where the market will experience two identical trade marks, registered for identical goods, however, enjoyed by the various owners, which is contrary the rules of trade mark law of course. The PPO dismissed the opposition and Tomasz Nowak filed a complaint against this decision of the PPO. He based its claims on provisions of article 8(1) and (2) of the old Polish Trade Mark Act – TMA – (in Polish: Ustawa o znakach towarowych) of 31 January 1985, Journal of Laws (Dziennik Ustaw) No 5, item 15, with subsequent amendments. Tomasz Nowak also challenged the examination proceedings which led to the registration of the questioned trade mark. The Voivodeship Administrative Court in Warsaw in its judgment of 14 January 2009 case VI SA/Wa 1941/08 ruled that legal provisions invoked in the complaint cannot be applied to assess the legality of the registration proceedings conducted by the PPO. Accordingly, the request for invalidation of right of protection of HADES trade mark under these provisions was irrelevant. The provisions of the TMA, or the IPL does not provide in the course of the litigation proceedings lead by the PPO, the possibility to control the legality of the administrative proceedings that concerned the registration of the questioned trade mark. The Court ruled that the allegations of violation of the administrative procedure by the PPO could only qualify as a basis for annulment of the decision. Tomasz Nowak was required to bring such claims in the complaint, however he did not so. Tomasz Nowak filed a cassation complaint. The Supreme Administrative Court in its judgment of 15 June 2010 case file II GSK 495/09 dismissed the cassation complaint. The SAC ruled that the VAC could not review the decision on the grant of a right of protection for HADES R-148641 trade mark. The VAC had to decide within the scope of the complaint and shall be bound by the legal ground invoked by the requesting party. The SAC also expressed the view that the registration of the name of someone else’s company does not preclude the registration of a trademark but the right to a name of the company must be infringed, and the existence of such right has not been proven by Tomasz Nowak. The complainer has not demonstrated that he had the right to name of the company. Actually both entrepreneurs have the right to use HADES sign as their business name. The complainer also argued that the mere prior use of the sign and not in relation to the applicant, but in relation to the entitled to the right of protection, provides a sufficient argument that the questioned trade mark infringes personal or economic rights of third parties. The SAC ruled that this view is incorrect. It clearly refers only to infringement of personal or property rights. Categories: Art. 151 PBAC | Art. 156 §1 pt 2 APC | Art. 246 IPL | Art. 253(2) IPL | Art. 255 IPL | Art. 29 TMA | Art. 315 IPL | Art. 8(1) TMA | Art. 8(2) TMA | company name or firm | personal rights or interests | Polish Act on Proceedings Before Administrative Courts | Polish Administrative Proceedings Code | Polish Supreme Administrative Court | trade mark invalidation | trademark law | Voivodeship Administrative Court. The Voivodeship Administrative Court in Warsaw in its judgment of 12 May 2010 case file VI SA/Wa 598/10 held that the court’s review of a decision issued by the PPO does not include a requirement to make additional findings for a case. The factual justification of the decision should contain the facts that the PPO regards as proven, the evidence relied upon and the reasons for which other evidence has been treated as not authentic and without probative force. The legal justification should contain the legal authority for the decision with reference to the relevant law. Only justification prepared in accordance with these requirements allows for a full review of the contested decision. 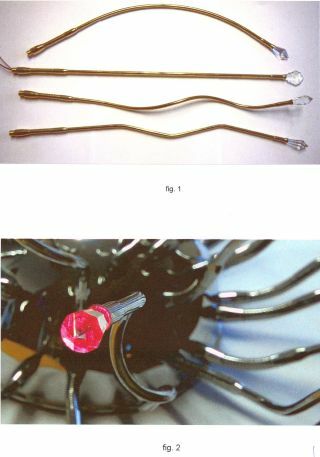 This judgment concerned the industrial design “Ramię ozdobne do opraw oświetleniowych” (in English: Decorative Arm for luminaires) Rp-12224. This judgment is not yet final. A cassation complaint may be filed to the Supreme Administrative Court. See also “Polish regulations on industrial designs” and “Polish case law on industrial designs“. Categories: appearance of the whole or a part of a product | Art. 102 IPL | Art. 104 IPL | Art. 107 §3 APC | Art. 255 IPL | industrial designs | invalidation of a right in registration | Polish Act on Industrial Property Law | Polish Administrative Proceedings Code | Voivodeship Administrative Court. Polish company Przedsiębiorstwo POLMOS Białystok Spółka Akcyjna, the owner of word-figurative and 3D trade mark “POLMOS ŻUBRÓWKA BISON BRAND VODKA” R-62081 and 3D trade mark R-85811, filed a notice of opposition to a final decision of the Polish Patent Office on the grant of the right of protection to word-figurative and 3D trade mark “VODKA Herbe de Pologne” R-155144, registered for BELVEDERE S.A.
POLMOS argued, inter alia, that there is a significant visual similarity between trade marks at issue. Its bottle has a blade of grass, which is very dominant and attracts the attention of the average consumer. Such assessment cannot be undermined by the fact that there are few blades of grass in the bottle representing the questioned trade mark. POLMOS argued that the registration of “VODKA Herbe de Pologne” threatens the reputation of its trade marks, and emphasized the role of grass in the bottle as a motif indicating the origin of the product. POLMOS added that the purpose of BELVEDERE’s actions was the parasitic use of the reputation of earlier trade marks owned by POLMOS. 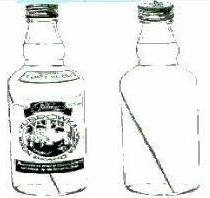 In the opinion of the Polish Patent Office (PPO) these trade marks were visually dissimilar because of different bottle shape, color, the presence of a label in the contested mark and the lack of labels in the opposed one, number and appearance of components in liquid. These signs were incomparable in the phonetic/aural aspect, so they were also dissimilar, as the opposed trade mark lacks lettering. In the conceptual aspect the questioned trade mark contains a bunch of herbs inside the bottle and the word “herbe” which indicates that the vodka is herbal, and the opposed sign, contains a longitudinal component, but this element in general is not like weed-grass. Consequently, due to lack of similarity the PPO held that the opposition is unfounded. POLMOS filed a complaint. The Voivodeship Administrative Court in Warsaw in its judgment of 27 April 2010 case file VI SA/Wa 2038/09 held that in the case of trade mark reputation, a sign has to be examined as a whole, as the right of protection was granted for such a designation. It can not be allowed to examine every element of the sign separately, in isolation from the whole trade mark. The Court also ruled that the similarity of signs is a prerequisite for examining whether in a particular situation there was infringement of the reputation of an earlier mark. See “Trade mark law, case II GSK 207/07“. The VAC held that the absence of the similarity of signs, which also includes the possibility of their association, is the argument that the presence on the market of goods bearing the sign at issue will not affect in any way the alleged reputation and distinctive character of POLMOS’ trade marks. Categories: Art. 164 IPL | Art. 255 IPL | Art. 315 IPL | Art. 4(1)(b) Directive 89/104 | Art. 9(1)(i) TMA | Directive 89/104/EEC | famous trade marks | likelihood of confusion | Polish Act on Industrial Property Law | Polish Act on Trade marks | reputed trade marks | trade mark invalidation | Voivodeship Administrative Court. The Voivodeship Administrative Court in its judgment of 19 March 2009 case file VI SA/Wa 1888/08 ruled that the consequence of the transfer of trade mark rights to another party, is that its previous owner is not allowed to continue to invoke the claims of the infringement of these trade marks. However, such a possibility is not excluded if the assignment of the trade mark rights will include appropriate provisions authorizing the previous owner of the trade mark to continue proceedings in which it claimed it has rights to assigned trade marks. The Supreme Administrative Court in its judgment of 13 May 2010 case file II GSK 608/09 repealed the contested judgment and returned it to the VAC for further reconsideration. The SAC held that at both the opposition proceedings as referred to in article 246 of the Polish Act of 30 June 2000 on Industrial Property Law – IPL – (in Polish: ustawa Prawo własności przemysłowej) of 30 June 2000, published in Journal of Laws (Dziennik Ustaw) of 2001 No 49, item 508, consolidated text of 13 June 2003, Journal of Laws (Dziennik Ustaw) No 119, item 1117, with subsequent amendments, that served as the basis for the decision to refuse to grant a right of protection, and subsequent proceedings before the Polish Patent Office under litigation for invalidation of a right of protection, due to the recognition by the proprietor of a trade mark that the opposition is to be unfounded, the applicant who wants to support the opposition does not have to show the legal interest. 1. Within six months from the publication in “Wiadomości Urzędu Patentowego” of the mention of the grant of a title of protection, any person may give reasoned notice of opposition to a final decision of the Patent Office on the grant of a patent, a right of protection or a right in registration. 2. The opposition referred to in paragraph (1) may be filed on the same grounds, on which a patent, a right of protection or a right in registration may be invalidated. This case concerned the invalidation proceedings of the trade mark CARLO BOSSI R-149940 that was registered for goods in Class 3 by KIVI Dr Krzysztof Słoń from Izabelin Laski. Categories: Art. 164 IPL | Art. 246 IPL | Art. 255 IPL | Art. 315 IPL | Art. 6bis Paris Convention | bad faith | legal interest | Paris Convention | Polish Supreme Administrative Court | trade mark invalidation | trademark law. A Polish company filed a notice of opposition to a final decision of the Polish Patent Office (PPO) on the grant of a right in registration for the industrial design. The opposition has been filed under the provisions of Article 102(1), Article 103(1), Article 104(1) and (2) and Article 106(1) of the Polish Act of 30 June 2000 on Industrial Property Law – IPL – (in Polish: ustawa Prawo własności przemysłowej), published in Journal of Laws (Dziennik Ustaw) of 2001 No 49, item 508, consolidated text of 13 June 2003, Journal of Laws (Dziennik Ustaw) No 119, item 1117, with subsequent amendments. 1. Any new and having individual character appearance of the whole or a part of a product resulting from the features of, in particular, the lines, colours, shape, texture or materials of the product and its ornamentation, shall constitute an industrial design. 1. An industrial design shall be considered new if, before the date according to which priority to obtain a right in registration is determined and subject to paragraph (2), no identical design has been made available to the public, i.e. used, exhibited or otherwise disclosed. Designs shall also be deemed to be identical with those made available to the public if their features differ only in immaterial details. 1. An industrial design shall be considered to have individual character, if the overall impression it produces on the informed user differs from the overall impression produced on such a user by any design which has been made available before the date according to which priority is determined. 1. Rights in registration shall not be granted for industrial designs whose exploitation would be contrary to public order or morality; exploitation of an industrial design shall not be considered to be contrary to public order merely because it is prohibited by law. The opposing party claimed the lack of novelty becuse the disputed design was disclosed inter alia during the exchange of correspondence with the owner and the lack of the individual character of a product. The PPO rejected the opposition and ruled that the industrial design is new. While referring to the cooperation between the opposing company and the owner, the PPO noted that the disclosure of a design was only approved between both parties. 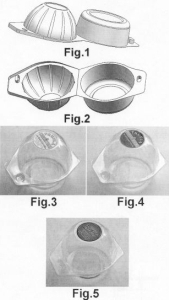 The PPO stated that the industrial design in question was not disclosed publicly. In the proceedings before the PPO and the courts no other evidence with regard to public disclosure of the design was submitted. The Voivodeship Administrative Court in its judgment of 19 November 2008 case file VI SA/Wa 1767/08 dismissed the complaint against the decision of the PPO. The Supreme Administrative Court in a judgment of 20 January 2010 case file II GSK 323/09 dismissed the cassation complaint. The SAC held that any correspondence, not only commercial, bears the characteristics of confidentiality due to the fact that by its nature it is addressed to the designated entity, and refers the specific content associated with a certain confidence on the part of the sender. Its publication requires the consent of both parties. Therefore, it coould not be argued that the disclosure of a new design could take place in the correspondence between the two businesses working together. The cassation complaint also presented the argument of exceeding the principle of formality. The Court ruled it unfounded based on provisions of Articles 255 and 256 of the IPL. 1. Litigation proceedings in the cases referred to in Article 255(1)(i)-(viii) shall be initiated at a written request. 2. A request for initiation of a proceeding shall be subject to payment of a fee. (iii) a receipt for the payment of the fee referred to in paragraph (2). 5. The Patent Office shall check whether the request for initiation of a litigation proceeding satisfies the formal requirements referred to in paragraphs (3) and (4). 6. Where the request fails to satisfy the formal requirements, the Patent Office shall invite the requesting party to remove the defects, under pain of discontinuance of the proceeding, within 30 days. 1. The provisions of the Code of Administrative Procedure shall apply accordingly to litigation procedure before the Patent Office in cases not regulated by this Law. 2. To costs of proceedings the provisions applied in civil law proceedings shall apply accordingly. 3. The provisions of the Code of Administrative Procedure governing re-examination, at a party’s request, of cases, in which decisions not liable to appeal were taken, shall not apply to decisions on merits taken after hearing. 31. The cases referred to in Article 2553(2) may be requested to be re-adjudicated. A time limit for submitting a request shall be, in case of a decision made – two months and in case of an order issued – one month from the date of the decision or the order being served upon the party. Because of the adversarial nature of proceedings before the PPO, the party has to prove the circumstances from which it derives the legal consequences that are more favorable. The proceedings before the Polish Patent Office are reduced of principles set out in the of the Administrative Proceedings Code – APC – (in Polish: Kodeks postępowania administracyjnego) of 14 June 1960, published in Journal of Laws (Dziennik Ustaw) No 30, item 168, consolidated text of 9 October 2000, Journal of Laws (Dziennik Ustaw) No 98, item 1071 with subsequent amendments, including the principle of formality, or the principle to watch over the interests of the parties by the public administration bodies. This case concerned the industrial design “Zadaszenie drzwi” (in English: door canopy) Rp-9198. See also “Polish regulations on industrial designs” and “Polish case law on industrial designs“. Categories: Art. 102 IPL | Art. 103 IPL | Art. 104 IPL | Art. 106 IPL | Art. 255 IPL | industrial designs | invalidation of a right in registration | novelty of an industrial design | Polish Act on Industrial Property Law | Polish Administrative Proceedings Code | Polish Supreme Administrative Court | Voivodeship Administrative Court. The Supreme Administrative Court in its judgment of 17 June 2009 case file II GSK 1034/08 ruled that it is obvious that the Polish Patent Office should first examine whether there is a right for which the applicant files request for invalidation, then the PPO should examine the legal interest of the applicant, and only then it should consider whether the legal grounds for invalidity are well founded. If at the time of examination of the request for invalidation, that right at issue no longer exists, due to the fact that its earlier decision on the grant of such right has been annulled, any further action is unnecessary and inadmissible as irrelevant. The PPO should terminate the proceedings without examination of the legal interest of the applicant and without considering the merits of the grounds of law. The dispute between the parties does not start due to the lack of action and any arguments of any party are no longer considered by the PPO. In this situation, there is no “winner” or “loser” because the merits of the request are not subject to examinations. This judgment concerned the industrial design “Opakowanie zwłaszcza na lody” (in English: Package especially for ice creams), Rp-9476. See also “Polish regulations on industrial designs” and “Polish case law on industrial designs“. Categories: Art. 105 §1 APC | Art. 255 IPL | Art. 256 IPL | Art. 98 CPC | industrial designs | invalidation of a right in registration | Polish Act on Industrial Property Law | Polish Administrative Proceedings Code | Polish Civil Proceedings Code | Polish Supreme Administrative Court. The Polish Patent Office invalidated the right of protection for “METAL-CHEM” R-138491 trade mark in part for goods in Class 7. The owner Przedsiębiorstwo Wdrażania Postępu Technicznego METAL-CHEM Spółka z o.o. from Gliwice filed a complaint against this decision, claiming inter alia that the PPO refrained from taking evidence from expert witness with regard to homegenity of the goods. The Voivodeship Administrative Court in Warsaw in its judgment of 13 October 2010 case file VI SA/Wa 1302/09 upheld the contested decision and ruled that the Adjudicative Board of the PPO, consisting of experts and the deciding cases in litigation proceedings may under the Article 84 § 1 of the APC appoint an experts witness to establish the facts on which the Patent Office has doubts, while the knowledge of the Board members is not sufficient. § 1. If a case requires specialist information, a public administration body may consult an expert or experts for an opinion. § 2. An expert shall be excluded from proceedings on the basis of the rules set out in Article 24. The provisions regarding the hearing of witnesses shall also apply to experts. It follows that the use of an experts witness should be incidental in nature as it was already discussed in by the Voivodeship Administrative Court in its judgment of 20 October 2006, case file VI SA/Wa 1075/06. Thus the PPO has the right but not the obligation, to refer to any opinion and it is also indicated by the optional nature of Article 84 § 1 of the APC. The PPO as a specialized authority that grants rights of protection for trade marks and other industrial property rights under the rule of law, is the only body that verifies under litigation proceedings, whether or not the exclusive right of protection for trademark meets statutory requirements. In this case, the task of the Board was the correct assessment of the similarity of the goods contained in the opposing trade marks, in which both parties used the terms in which the general range of meaning was available and is not misleading. Categories: Art. 132(2)(ii) IPL | Art. 255 IPL | Art. 6 APC | Art. 71 APC | Art. 80 APC | Art. 84 APC | Art. 86 APC | homogenity of goods | Polish Administrative Proceedings Code | similarity of signs | trade mark examination | trade mark invalidation | Voivodeship Administrative Court | well known trade marks. On 5 September 2007, the Polish Patent Office dismissed the opposition filed by the German company Merck against the word trade mark zalbion R-159782 owned by the Polish company Bioton and registered for goods in Class 5 such as pharmaceuticals. Merck argued that the opposed trade mark is similar to its word trade mark cebion R-64136. Merck noted that Cebion is a well known sign since 80ties and enjoys big reputation on the Polish and international market. The PPO decided that the goods bearing the opposed trade marks are homogenous and it did not matter that they have a different application and are directed to different consumers. Cebion is a preparation with vitamin C, and it is a type of product available without any prescription, zalbion is eye drops product available only on prescription. However, the PPO found that both signs are phonetically dissimilar, despite the common syllable, and they have fanciful meaning. The PPO also said that evidence of the reputation of cebion presented by Merck was insufficient. Merck filed a complaint against this decision. The Voivodeship Administrative Court in its judgment of 12 August 2008 case file VI SA/Wa 197/08 anulled the contested decision and decided that it was not subject to execution. The Court held that the PPO has not made a thorough review of the presented evidence. The judgment is final. Categories: Art. 255 IPL | Art. 256 IPL | Art. 8(1) TMA | Art. 9(1)(i) TMA | homogenity of goods | Polish Act on Trade marks | Polish Patent Office | similarity of goods | similarity of signs | trade mark invalidation | trademark law | Voivodeship Administrative Court. The Supreme Administrative Court in its judgment of 18 April 2008 case file II GSK 350/06 held that the duties of the Polish Patent Office to take all necessary steps to clarify the facts of a case and to resolve it, having regard to the public interest and the legitimate interests of members of the public cannot be “transferred” to the litigation proceedings in patent cases based on the provisions of Article 256(1) of the Polish Act of 30 June 2000 on Industrial Property Law – IPL – (in Polish: ustawa Prawo własności przemysłowej), published in Journal of Laws (Dziennik Ustaw) of 2001 No 49, item 508, consolidated text of 13 June 2003, Journal of Laws (Dziennik Ustaw) No 119, item 1117, with subsequent amendments. 1. The provisions of the Code of Administrative Procedure shall apply accordingly to litigation procedure before the Patent Office in cases not regulated by this Law.. This is because the Article 255(4) of the IPL includes provisions that fully cover this regulation and precludes the possibility of the complementary use of provisions of Article 7 and 77 of the Administrative Proceedings Code – APC – (in Polish: Kodeks postępowania administracyjnego) of 14 June 1960, Journal of Laws (Dziennik Ustaw) No 30, item 168, consolidated text of 9 October 2000, Journal of Laws (Dziennik Ustaw) No 98, item 1071 with subsequent amendments. 4. The Patent Office shall settle cases in litigation procedure within the scope of the request and shall be bound by the legal ground invoked by the requesting party. The Court also ruled the such findings do not preclude, of course, the activity of the Polish Patent Office to collect evidence, provided that they fall within an already pending case in litigation proceedings. Categories: Art. 184 PBAC | Art. 255 IPL | Art. 256 IPL | Art. 7 APC | Art. 77 APC | patent law | Polish Act on Industrial Property Law | Polish Act on Proceedings Before Administrative Courts | Polish Administrative Proceedings Code | Polish Supreme Administrative Court. The Voivodeship Administrative Court in its judgment of 5 November 2007 case file VI SA/Wa 1180/07 decided the case for the invalidation of the right of protection for the trade mark PANORAMA TURYSTYKI R-145420. The issue of the discontinuance of the proceedings appeared during the hearing before the Polish Patent Office. The PPO decided to stay the proceedings until the civil court decide on the authorship of the trade mark. One of the parties filed a complaint against this decision. The Court ruled that the decision on the matter of who has the copyright to the sign in question is a preliminary issue within the meaning of Article 97 § 1 pt 4 of the Administrative Proceedings Code – APC – (in Polish: Kodeks postępowania administracyjnego) of 14 June 1960, published in Journal of Laws (Dziennik Ustaw) No 30, item 168, consolidated text of 9 October 2000, Journal of Laws (Dziennik Ustaw) No 98, item 1071 with subsequent amendments. 4) if deciding the matter and issuance of the decision is conditioned upon a previous resolution of a preliminary issue by another authority or court. § 2. If the grounds for stay have ceased to exist, the public administration authority shall ex officioor upon demand of a party lift the stay of the proceedings. The Court held that the PPO was allowed to summon the party to apply for the civil proceedings and to order a stay of proceedings in one order. Such order is not subject to the appeal. It can be only challenged in the complaint against the decision that also contains the conclusions of preliminary issue. Categories: Art. 255 IPL | Art. 256 IPL | Art. 284 IPL | Art. 58 PBAC | Art. 97 §1 APC | co-autorship | copyright law | joint work | Polish Act on Industrial Property Law | Polish Act on Proceedings Before Administrative Courts | Polish Administrative Proceedings Code | Polish Patent Office | Voivodeship Administrative Court. The Supreme Administrative Court in its judgment of 20 September 2007 case file II GSK 113/07 held that the administration body can change its opinion on the content of the proper conclusion, which should be issued in a specific type of cases, but it must carefully justify such a change, especially when changing the view of decisions taken in relation to the same applicant. The Court ruled that the case-law of the administration may therefore be subject to change, if the authority demonstrates in detail that there are reasonable grounds. This case concerned BROWN DD KING R-146742 trade mark owned by INTER SOUND Spółka z o.o. from Warszawa. Categories: Art. 132(2)(ii) IPL | Art. 255 IPL | Art. 77 APC | Polish Supreme Administrative Court | similarity of goods | similarity of services | similarity of signs. The Supreme Administrative Court in its judgment of 19 January 2006 case file II GSK 320/05 ruled that the litigation proceedings, conducted on the basis of the provisions of Article 255 of the Polish Act of 30 June 2000 on Industrial Property Law – IPL – (in Polish: ustawa Prawo własności przemysłowej), published in Journal of Laws (Dziennik Ustaw) of 2001 No 49, item 508, consolidated text of 13 June 2003, Journal of Laws (Dziennik Ustaw) No 119, item 1117, with subsequent amendments, have the adversarial nature. This means that the parties of the proceedings should cite evidence to support their claims. However, it should not be interpreted as meaning that the administrative body retains in complete inactivity during the proceedings. The administrative body is required to explain all the facts under the provisions of Article 7 and 77 of the Administrative Proceedings Code – APC – (in Polish: Kodeks postępowania administracyjnego) of 14 June 1960, published in Journal of Laws (Dziennik Ustaw) No 30, item 168, consolidated text of 9 October 2000, Journal of Laws (Dziennik Ustaw) No 98, item 1071 with subsequent amendments. This requirement should be understood that the initiative for setting up the arguments and the presentation of evidence rests on the parties, especially if it is acting with a representative. The role of the administrative body has the complementary nature. Categories: Art. 255 IPL | Art. 7 APC | Art. 77 APC | Polish Act on Industrial Property Law | Polish Administrative Proceedings Code | Polish Supreme Administrative Court. The Appellate Court in Poznań in its judgment of 12 December 2006 case file I ACa 784/06 ruled that issues related to the control of the merits of granting the right of protection for utility model have been under the provisions of Articles 6(2) of the Polish Act of 30 June 2000 on Industrial Property Law – IPL – (in Polish: ustawa Prawo własności przemysłowej) of 30 June 2000, Journal of Laws (Dziennik Ustaw) of 2001 No 49, item 508, consolidated text of 13 June 2003, Journal of Laws (Dziennik Ustaw) No 119, item 1117, with subsequent amendments, transferred to the jurisdiction of the Polish Patent Office, which decides on such matters as provided for in Article 255 of the IPL. The civil court has no jurisdiction to evaluate and verify the correctness of the decision of the Patent Office, but is to be bound, because these are decisions issued by the authority in respect of its powers. Categories: Art. 255 IPL | Art. 6(2) IPL | Polish Act on Industrial Property Law | Polish Appeallate Court | Polish institutions | Polish Patent Office.